Mirvac and UrbanGrowth NSW today announced the complete sell-out* of the first release of apartments at Green Square Town Centre. 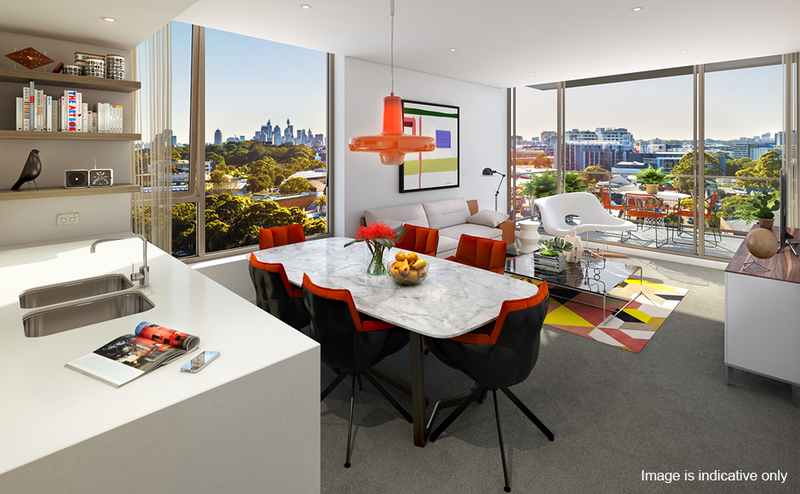 In a marathon two-day launch all 174 apartments offered in the first building, Ebsworth, were sold, paving the way to fast-track the next release of apartments at Green Square, Sydney’s most significant urban transformation project. The first sales at the $8 billion Green Square Town Centre come more than 10 years after the site was proposed for urban renewal and is the first project for UrbanGrowth NSW under its new mandate to commence construction and deliver new dwellings and jobs for a growing Sydney. UrbanGrowth NSW Chief Executive David Pitchford said the transformation of Green Square was the beginning of a new era for Sydney. “The level of interest and activity this weekend demonstrates the success we can achieve when NSW, through UrbanGrowth NSW, working with the private sector, enables world class urban renewal,” said Mr Pitchford. “The community has patiently waited for Green Square to become a reality and now we are about to deliver. This is the beginning of a great new centre for the inner south, a place where people now have more employment and housing options and can access a train station and great amenities at their doorstep." A total of more than $150 million in property was exchanged over the two-day launch with buyers representing a diverse mix of investors and owner-occupiers. Amongst the investors were a number of first home buyers looking to gain a foothold in the market. Many were repeat Mirvac purchasers drawn to the unbeatable location, 3.5km from the CBD, 4km from the airport and adjacent a train station. Mirvac Group Executive Residential Development John Carfi said the strong sales result reflected a shift in the market towards inner-city living and the strength of the Sydney market overall. “Green Square offers all the fundamentals that people are looking for in apartment living,” said Mr Carfi. “It will have a vibrant high street retail precinct and a high level of amenity with open space, a Civic Plaza and library. A number of buyers today were repeat Mirvac purchasers and we are gratified to see our customers displaying confidence in the Mirvac brand. Mirvac has begun infrastructure works on the main street of the Town Centre, where construction of Ebsworth will begin early next year. Construction is anticipated to be complete by late 2016. The Green Square urban renewal area encompasses 278 hectares and includes the suburbs of Beaconsfield and Zetland, and parts of Rosebery, Alexandria and Waterloo. By 2030 it is expected to have a population of around 53,000 residents and 22,000 new workers. The total Green Square Town Centre area covers 14 hectares with a projected population of 6,800 new residents and 8,600 workers. It will include a Civic Plaza and library, parks and a creative community hub provided by the City of Sydney. An aquatic centre and sport and recreation area is proposed by the City on a site adjacent to the Town Centre. The public facilities will be funded by developer contributions. Mirvac and UrbanGrowth NSW will deliver the heart of the Town Centre, around 2000 apartments, up to 14,000sqm of retail space and approximately 50,000sqm of office space. An estimated 4000 jobs will be generated during construction. Ebsworth is significant, not only as the first stage of Mirvac apartments at Green Square Town Centre, but as a defining influence on the character of the new neighbourhood. The ground level at Ebsworth is proposed to include a supermarket and an array of artisan-style retailers to create a lively high street shopping environment. *All exchanges are subject to cooling off.